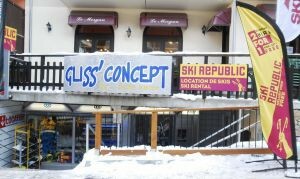 Gliss Concept welcomes you and advises(recommends) to you 7 days a week. The rent of your equipment of ski or snowboard with important reductions. Gain money and time and energy! At your arrival to the resort of Risoul, your skis are at your disposal.